You need to know that the tax, financial and commercial advice you receive is much more than a simple generic, one-size-fits-most approach. 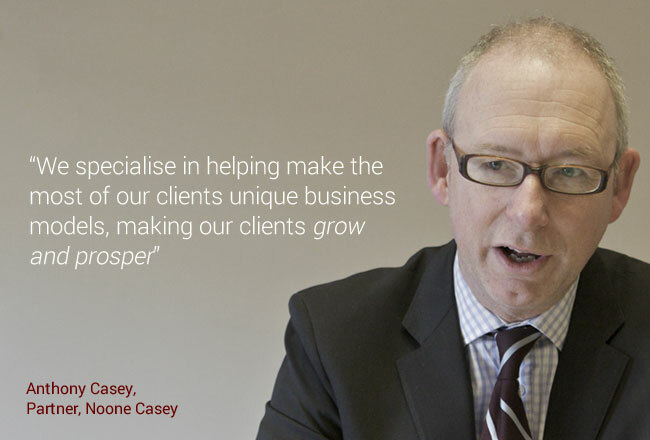 Noone Casey is an accounting firm with local knowledge and a international reach whose primary focus is on building value and trust into the relationships we forge with our clients. Because, like you, it’s not only about the money – it’s about the people. We focus on strategic thinking and our honest approach with our clients is especially important to us. We help our clients to re-focus their sights using our I Focus wealth and business management suite of software that highlights the needs of your business and personal financial needs.